Damen Hall is named for Arnold J. Damen, S.J., founder and first pastor of Holy Family Parish here in Chicago. 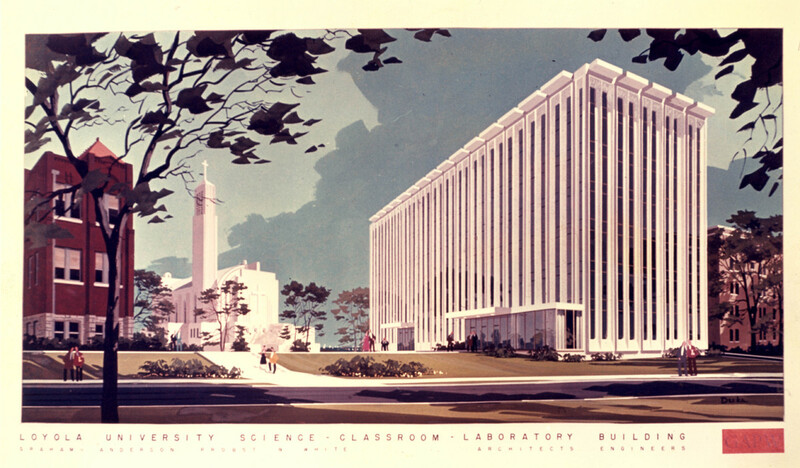 This ten-story building functioned as a classroom and laboratory facility and housed several departments. 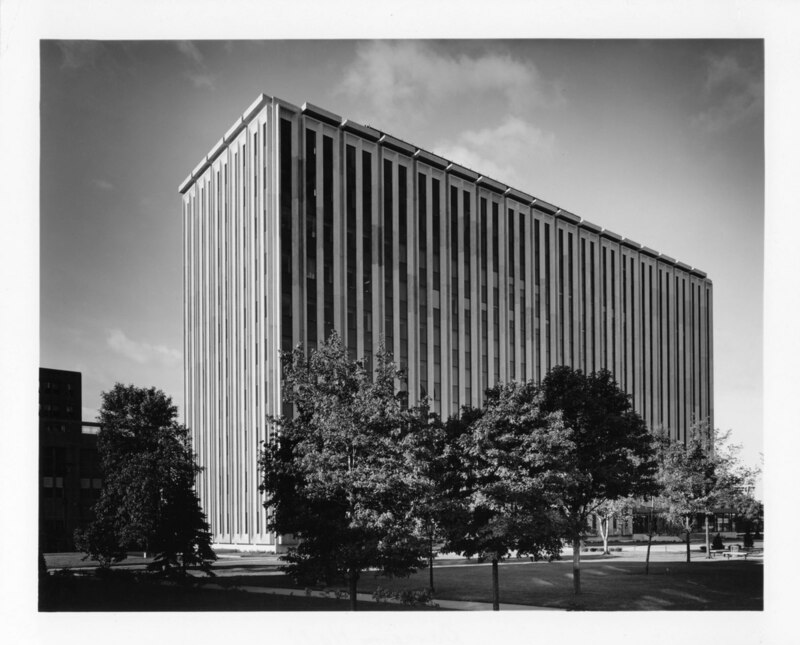 Damen Hall was completed in 1966 and was torn down in 2010. 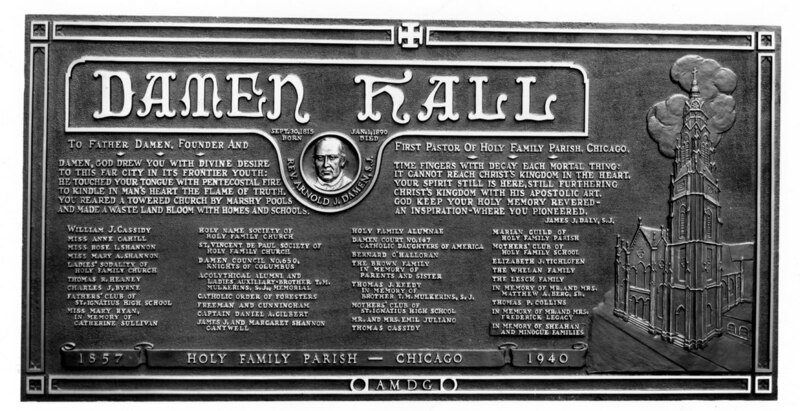 This dedication plaque details Father Damen's contribution to the city of Chicago and his significance to the Jesuits. In 1982, Damen Hall won the dubious honor of being listed on the top ten worst wind spots in Chicago by the Chicago Tribune.